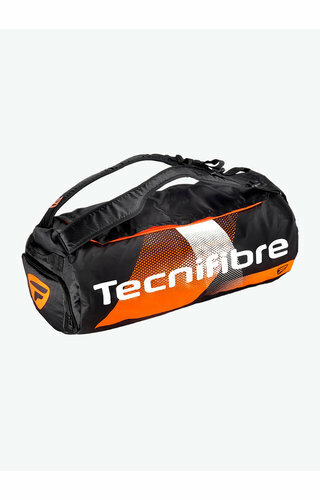 Tecnifibre squash bags are very popular among squash players. 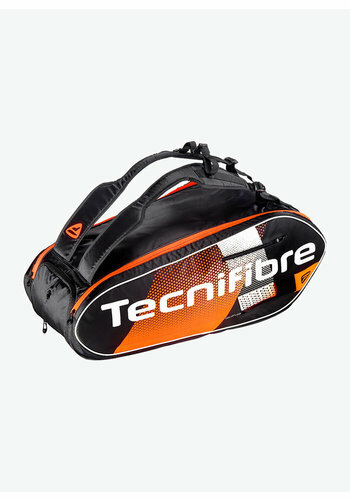 Tecnifibre distinguishes itself by offering bags that are specially designed for squash and therefore have special features that you will not find in bags by other brands whose bags serve for tennis and badminton as well. 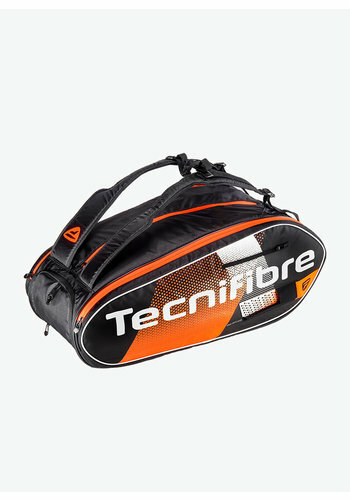 For example, some of the Tecnifibre squash bags are equipped with special pockets for squash balls and with a separate compartment where you can safely store your squash goggles. The 12R Tecnifibre squash bags even have a foam squash box where you can put three balls and squash goggles. Another distinctive feature of all Tecnifibre squash bags is the 'Speed Ventilation'. This ventilation system ensures optimal air circulation and prevents the bag from stinking. 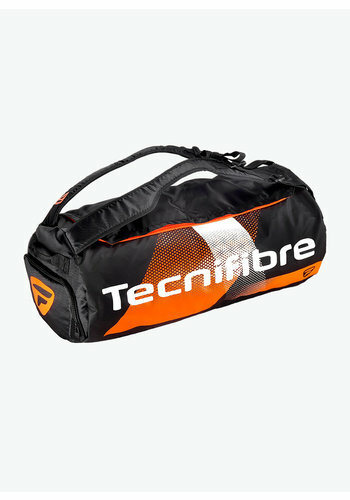 Tecnifibre has two lines of squash bags in their collection: the popular Tecnifibre Squash Green and Tecnifibre Air Endurance lines. The Air Endurance line excels in the area of carrying comfort. The bags in this line feature the 'All In One Carrying System': special notches in the shoulder straps allow you to carry the bag comfortably as a backpack, to hang over one shoulder or to transport it in the hand. Another distinctive feature in the Air Endurance collection is the 'Rip Stop Fabric'. This means that the bags are made of a particularly strong but ultra-light material that is also water-repellent, so that your squash gear is protected under all weather conditions. Tecnifibre has succeeded in developing bags for all types of squash players. The 9R is a spacious bag in which you can transport all your gear. The 12R is slightly larger and it is a perfect choice especially for players who regularly play tournaments. 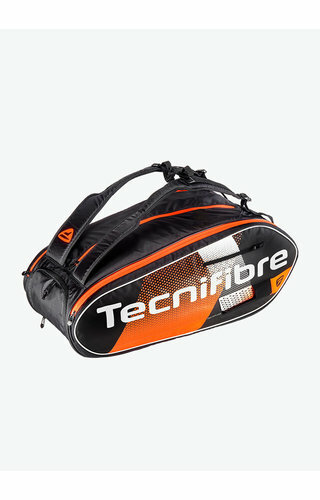 The Tecnifibre Air Endurance Rackpack is unique among the Tecnifibre squash bags. This is a multifunctional racket bag where you can store your items in an orderly manner. With just one glance at your bag you can find what you are looking for. This racket bag has one main compartment that you can divide according to your needs into three, four or five smaller main compartments. It features three accessory pockets and a separate shoe compartment. The Tecnifibre Squash Green Training Bag is a practical sports bag suitable for players who do other sports besides squash and are looking for a bag that works for all activities. The bag is long enough for storing a squash racket, but it also fits for example a volleyball. 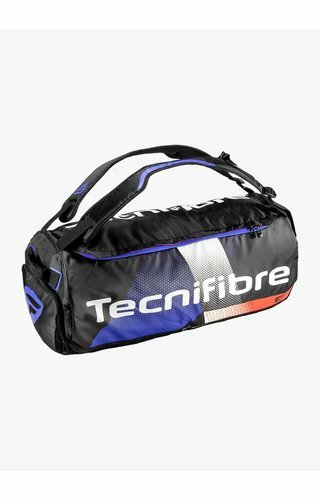 The Tecnifibre Backpack is a handy backpack and a great choice if you go to the squash centre by bicycle or public transport. It is equipped with practical features such as special pockets for balls and a built-in case for your goggles. The Tecnifibre Squash Green bags have a beautiful design and come in black and white with subtle green details. The white part is made of a kind of imitation of leather on which the Tecnifibre logo is printed in black. The word 'green' in the name of the collection refers to the popular green Tecnifibre 305 squash string. 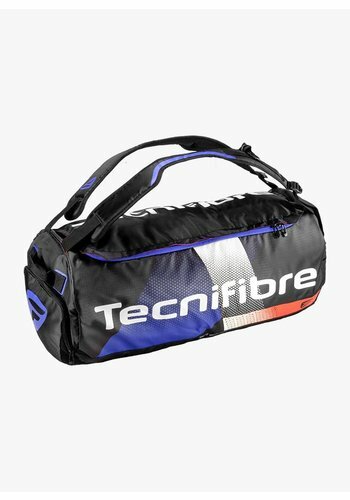 The Tecnifibre Air Endurance bags have a cool look and come in black with blue, white and red details. At Squashpoint we are aware that it can be difficult to know which Tecnifibre squash bag suits you best. That is why we want to offer you detailed descriptions of the bags and have added some photos and video clips. If you still have questions about any of our products, please contact us by telephone or e-mail. We are happy to help you choose the right bag. Multifunctional backpack where you can store your stuff perfectly organized. Racket bag equipped with innovative features. A great option for serious players. A bag like no other. A backpack with many useful pockets.